Beloved husband of Veprore, A wonderful father to his children, Altin and Edlira. Adored grandfather of two, Camilla and Ciara. 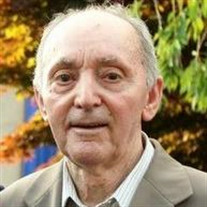 The family of Agim Zaloshnja created this Life Tributes page to make it easy to share your memories. Send flowers to the Zaloshnja's family.